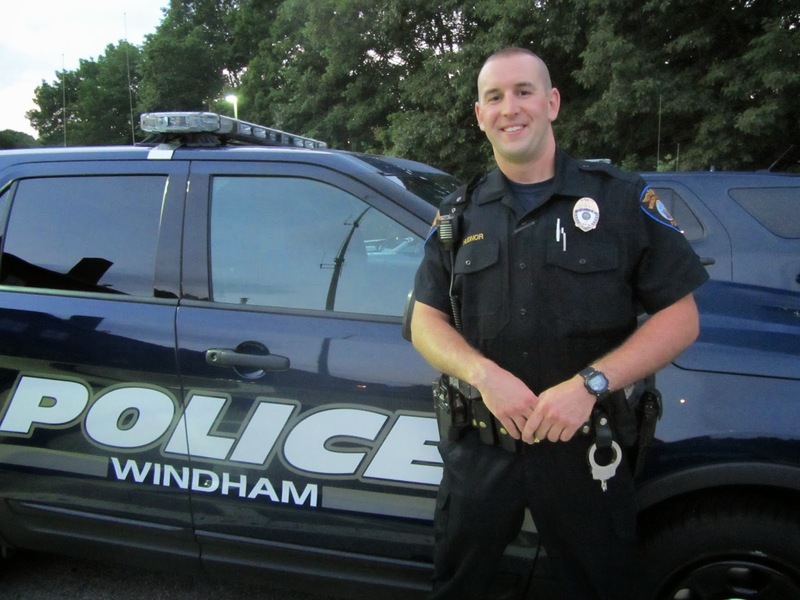 Officer Justin Hudnor is getting used to life on the streets of Windham. After a year working as a corrections officer and 18 weeks at the Maine Criminal Justice Academy, Hudnor is finally doing what he has wanted to do his whole life…be a police officer. 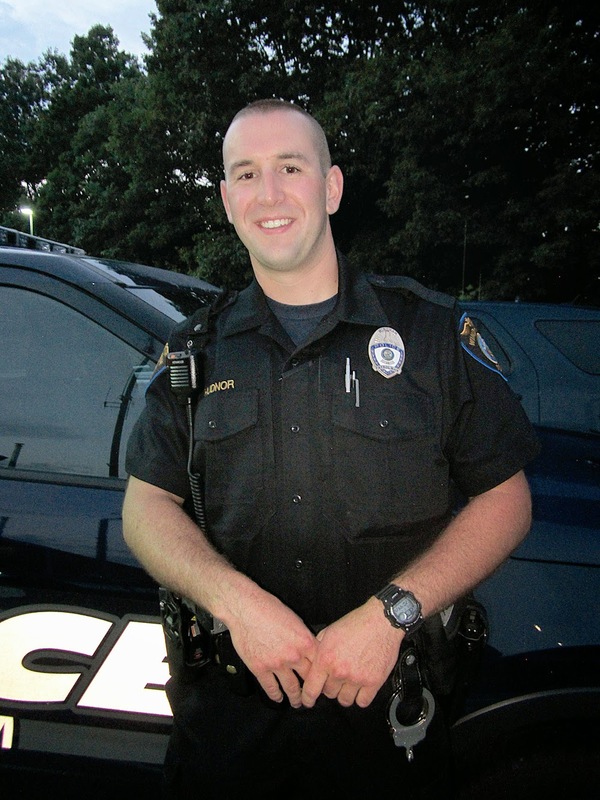 Hudnor graduated from the academy on May 23rd and is in the process of completing the 14-week field training component of his job, which means he is riding with other officers and trying out different shifts. Hudnor was born and raised in Brunswick and is a graduate of Thomas College. “I’d never been to Windham, only driven through,” he said. He had a friend who told him about the Windham Police Department. “He said it was like a big family. It sounded like something I want to be a part of,” he said. “Eighteen weeks of fun,” is how Hudnor described the academy. The most challenging part was being away from his friends and family including his fiancée. “Not being able to eat when I want or 20-second showers, I like my showers,” he said. “It was a good time. I made good friends from all over the state. For me it is a huge accomplishment,” he added. As a corrections officer, he learned how to build a rapport with the inmates. He was able to find out what they had done and why they committed the crime. “It was a good experience,” he said. One of his first calls in Windham was an attempt to locate from New Gloucester. Hudnor went with Sergeant Bill Andrew to track a man who cut his mom’s boyfriend’s throat with a sword. “We ended up getting him. It was the most adrenaline rush so far,” he said. Hudnor is a self-professed adrenaline junkie. “I couldn’t imagine sitting at a desk all day,” he said. “Being outside, being a role model in the community and getting criminals off the streets,” is what he likes about being a police officer. Hudnor noticed over the last few weeks that speed on Route 302 and distracted driving are the biggest issues facing Windham. In the future, he would like to be a detective working on “big time cases.” For now, he’s enjoying the warm welcome he has received from town employees and the community. “Everybody’s happy to see us. Everyone waves. That’s a good thing,” he said. Its most important part of the job to get criminals off the streets. DUI law is the most dynamic and complex area of litigation in the criminal law as these laws change frequently. The legislature makes changes to DUI laws almost every year. Make sure your attorney is up-to-date on changed laws. My cousin works with a DUI lawyer and that’s how I know things a bit.